Most Likely Scenario: Short positions below 1.2385 with targets @ 1.232 & 1.229 in extension. Alternative scenario: Above 1.2385 look for further upside with 1.242 & 1.248 as targets. Comment: The pair remains under pressure as the RSI is badly directed. Most Likely Scenario: Short positions below 1.5625 with targets @ 1.554 & 1.55 in extension. Alternative scenario: Above 1.5625 look for further upside with 1.57 & 1.5755 as targets. Most Likely Scenario: Long positions above 117.75 with targets @ 119.1 & 119.6 in extension. Alternative scenario: Below 117.75 look for further downside with 117 & 116.25 as targets. Comment: The pair remains on the upside as the RSI is well directed. AUD/USD Intraday: capped by a negative trend line. Most Likely Scenario: Short positions below 0.8225 with targets @ 0.8105 & 0.806 in extension. Alternative scenario: Above 0.8225 look for further upside with 0.8265 & 0.829 as targets. Comment: As long as 0.8225 is resistance, look for choppy price action with a bearish bias. Most Likely Scenario: Short positions below 1203 with targets @ 1183 & 1177 in extension. Alternative scenario: Above 1203 look for further upside with 1210 & 1217 as targets. Comment: The RSI is mixed and calls for caution. Crude Oil (NYMEX) (G5) Intraday: rebound expected. Most Likely Scenario: Long positions above 55 with targets @ 59.3 & 60.5 in extension. Alternative scenario: Below 55 look for further downside with 53.94 & 53 as targets. Most Likely Scenario: Short positions below 1.232 with targets @ 1.2245 & 1.219 in extension. Alternative scenario: Above 1.232 look for further upside with 1.236 & 1.242 as targets. Most Likely Scenario: Long positions above 1.5595 with targets @ 1.57 & 1.5755 in extension. Alternative scenario: Below 1.5595 look for further downside with 1.554 & 1.55 as targets. USD/JPY Intraday: the bias remains bullish. Most Likely Scenario: Long positions above 118.4 with targets @ 119.6 & 120.15 in extension. Alternative scenario: Below 118.4 look for further downside with 117.75 & 117 as targets. Alternative scenario: Above 1207 look for further upside with 1215 & 1223.5 as targets. Comment: As long as 1207 is resistance, likely decline to 1192. Crude Oil (NYMEX) (G5) Intraday: key resistance at 59.3. Most Likely Scenario: Short positions below 59.3 with targets @ 53.94 & 52.5 in extension. Alternative scenario: Above 59.3 look for further upside with 60.5 & 61.8 as targets. Comment: As long as 59.3 is resistance, likely decline to 53.94. Most Likely Scenario: Short positions below 1.2305 with targets @ 1.219 & 1.215 in extension. Alternative scenario: Above 1.2305 look for further upside with 1.236 & 1.242 as targets. Most Likely Scenario: Short positions below 1.568 with targets @ 1.5595 & 1.554 in extension. Alternative scenario: Above 1.568 look for further upside with 1.571 & 1.5755 as targets. Most Likely Scenario: Long positions above 118.8 with targets @ 120.15 & 120.85 in extension. Alternative scenario: Below 118.8 look for further downside with 118.4 & 117.75 as targets. Most Likely Scenario: Short positions below 0.82 with targets @ 0.8105 & 0.806 in extension. Alternative scenario: Above 0.82 look for further upside with 0.8235 & 0.8265 as targets. Comment: As long as 0.82 is resistance, look for choppy price action with a bearish bias. Most Likely Scenario: Short positions below 1.227 with targets @ 1.219 & 1.215 in extension. Alternative scenario: Above 1.227 look for further upside with 1.231 & 1.236 as targets. Comment: The pair stands below its resistance and remains within a bearih channel. Most Likely Scenario: Short positions below 1.563 with targets @ 1.554 & 1.5475 in extension. Alternative scenario: Above 1.563 look for further upside with 1.568 & 1.571 as targets. Most Likely Scenario: Long positions above 119.6 with targets @ 120.85 & 121.3 in extension. Alternative scenario: Below 119.6 look for further downside with 119.1 & 118.4 as targets. Comment: The pair remains within a bullish channel and is breaking above its resistance. Most Likely Scenario: Short positions below 0.8155 with targets @ 0.806 & 0.804 in extension. Alternative scenario: Above 0.8155 look for further upside with 0.82 & 0.8235 as targets. Comment: The immediate trend remains down and the momentum is strong. Most Likely Scenario: Short positions below 1192 with targets @ 1165 & 1156 in extension. Alternative scenario: Above 1192 look for further upside with 1205 & 1214 as targets. Comment: As long as 1192 is resistance, look for choppy price action with a bearish bias. Crude Oil (NYMEX) (G5) Intraday: bullish bias above 54.3. Most Likely Scenario: Long positions above 54.3 with targets @ 58.5 & 59.3 in extension. Alternative scenario: Below 54.3 look for further downside with 52.5 & 50 as targets. Comment: A support base at 54.3 has formed and has allowed for a temporary stabilisation. Most Likely Scenario: Short positions below 1.2245 with targets @ 1.215 & 1.21 in extension. Alternative scenario: Above 1.2245 look for further upside with 1.227 & 1.231 as targets. Comment: A break below 1.215 would trigger a drop towards 1.21. The pair has broken below its previous low and remains within a bearish channel. Most Likely Scenario: Short positions below 1.557 with targets @ 1.5485 & 1.545 in extension. Alternative scenario: Above 1.557 look for further upside with 1.5595 & 1.563 as targets. Comment: As long as 1.557 is resistance, look for choppy price action with a bearish bias. The pair has broken below its previous low and remains under pressure. Most Likely Scenario: Long positions above 120 with targets @ 120.85 & 121.3 in extension. Alternative scenario: Below 120 look for further downside with 119.6 & 119.1 as targets. Comment: Even though a continuation of the consolidation cannot be ruled out, its extent should be limited. The pair remains within a bullish channel. Most Likely Scenario: Short positions below 0.814 with targets @ 0.8085 & 0.804 in extension. Alternative scenario: Above 0.814 look for further upside with 0.8175 & 0.82 as targets. Comment: A break below 0.8085 would trigger a drop towards 0.804. Most Likely Scenario: Short positions below 1185 with targets @ 1170 & 1156 in extension. Alternative scenario: Above 1185 look for further upside with 1192 & 1200 as targets. Comment: As long as 1185 is resistance, look for choppy price action with a bearish bias. EUR/USD Wave analysis and forecast of 26.12 – 02.01: The pair is likely to grow. Estimated pivot point is at the level of 1.2155. Our opinion: Buy the pair from correction above the level of 1.2155 with the target of 1.24 – 1.25. Alternative scenario: “Bearish” trend will continue up to the levels of 1.21 – 1.20. Analysis: Presumably, the formation of the fifth wave in the long-term “bearish” trend has completed. Locally it seems that reversal is being developed, as well as small one-two one two waves of the expected growth. If this assumption is correct and the price will not drop below the level of 1.2155, the pair can grow to 1.24 – 1.2560. Break out of the level of 1.2565 will give us confirmation of reversal and completion of the “bearish” trend. GBP/USD Wave analysis and forecast of 26.12 – 02.01: Bearish trend dominates; the pair is under pressure. Estimated pivot point is at the level of 1.5680. 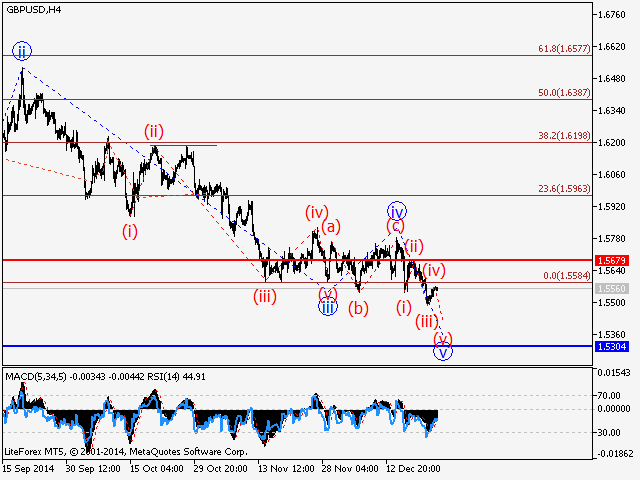 Our opinion: Sell the pair below the level of 1.5680 with the target of 1.54 – 1.53. In case of breakdown and consolidation of the price above the level of 1.5680, buy the pair with the target of 1.62 – 1.63. Alternative scenario: Consolidation of the price above the level of 1.5680 will enable the pair to grow up to the levels of 1.62 – 1.63, as part of the correction. Analysis: Presumably, the development of the “bearish” trend on the daily timeframe is nearing completion. At the moment it seems that the final fifth wave is being developed with the target level of 1.53 and the critical level of 1.5680. If this assumption is correct and the price does not break down the critical level of 1.5780, the pair will continue to decline to 1.54 – 1.53. Breakout of the level of 1.5680 will indicate the beginning of the «bullish” correction. 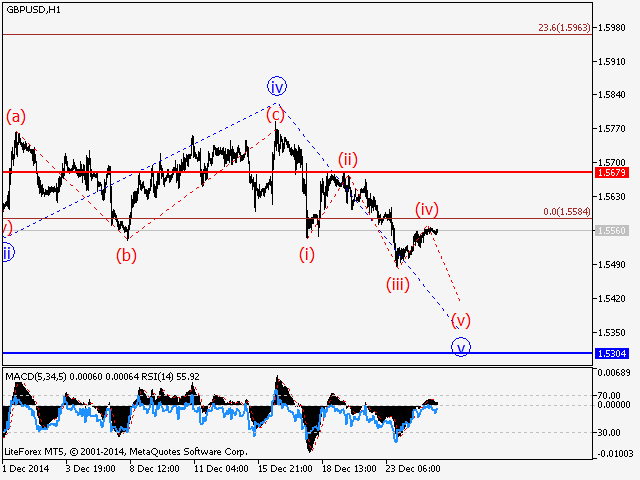 USD/CHF Wave analysis and forecast of 26.12 – 02.01: Growth in the pair has completed. Estimated pivot point is at the level of 0.99. Our opinion: Sell the pair below the level of 0.99 with the target of 0.9550. Alternative scenario: Consolidation of the price above of the level of 0.99 will enable the rise in the pair up to the levels of 0.9950 – 1.0. Analysis: Presumably, the formation of the final fifth wave of the “bullish” impetus in the wave (A) of the senior level has completed. At the moment it is possible that the first wave of the junior level within expected correction is being formed. If this assumption is correct and the pair does not consolidate above the level of 0.99, the pair will continue to decline to the level of 0.9550. USD/JPY Wave analysis and forecast of 26.12 – 02.01: The pair is likely to undergo correction and continue to grow. Estimated pivot point is at the level of 115.50. Our opinion: Wait for the completion of correction and buy the pair above the level of 115.50 with the target of 123.50. Alternative scenario: Breakout and consolidation of the price below the level of 115.50 will enable the price to continue decline to the levels of 114.50 – 114.0. Analysis: Presumably, the formation of the final fifth wave v of 3 is ongoing; within this wave one-two, one-two momentum as the wave (i) of v has developed and local correction in the wave (ii) is expected. If this assumption is correct, after the completion of the local correction the pair will continue to grow. Critical level for this scenario is 115.50. USD/СAD Wave analysis and forecast of 26.12 – 02.01: Uptrend dominates. Estimated pivot point is the level of 1.1564. Our opinion: Buy the pair above the level of 1.1564 with the target of 1.1750 - 1.18. Alternative scenario: Breakout and consolidation of the price below the level of 1.1564 will enable the pair to continue to decline to the levels of 1.1450 – 1.14. Analysis: Presumably, the formation of the “bullish” impetus continues in the fifth wave v of 5 of (3). Locally it is likely that the third wave of the junior level (iii) of v of 5 is nearing completion. Within this wave the fifth wave is being developed. If this assumption is correct, the pair will continue to grow to the levels of 1.1750 – 1.18. Most Likely Scenario: Short positions below 1.2225 with targets @ 1.215 & 1.21 in extension. Alternative scenario: Above 1.2225 look for further upside with 1.227 & 1.231 as targets. GBP/USD Intraday: key resistance at 1.56. Most Likely Scenario: Short positions below 1.56 with targets @ 1.553 & 1.5485 in extension. Alternative scenario: Above 1.56 look for further upside with 1.563 & 1.566 as targets. Comment: As long as 1.56 is resistance, look for choppy price action with a bearish bias. USD/JPY Intraday: bullish bias above 120. Most Likely Scenario: Long positions above 0.81 with targets @ 0.8175 & 0.82 in extension. Alternative scenario: Below 0.81 look for further downside with 0.8085 & 0.806 as targets. Gold spot Intraday: further advance. Most Likely Scenario: Long positions above 1185 with targets @ 1214 & 1224 in extension. Alternative scenario: Below 1185 look for further downside with 1170 & 1156 as targets. Most Likely Scenario: Short positions below 1.209 with targets @ 1.2025 & 1.2 in extension. Alternative scenario: Above 1.209 look for further upside with 1.212 & 1.2145 as targets. Comment: The pair has broken the lower boundary of a bearish channel and should decline further. Most Likely Scenario: Short positions below 1.5585 with targets @ 1.552 & 1.5495 in extension. 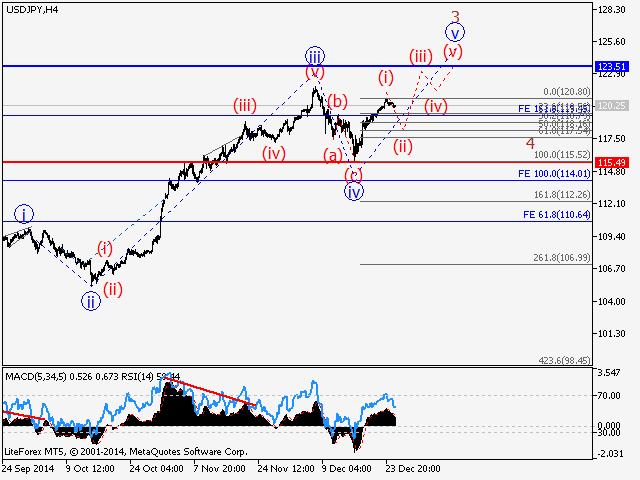 Alternative scenario: Above 1.5585 look for further upside with 1.5615 & 1.5635 as targets. Most Likely Scenario: Long positions above 119.95 with targets @ 120.5 & 120.75 in extension. Alternative scenario: Below 119.95 look for further downside with 119.65 & 119.2 as targets. AUD/USD Intraday: key resistance at 0.8155. Most Likely Scenario: Short positions below 0.8155 with targets @ 0.811 & 0.8085 in extension. 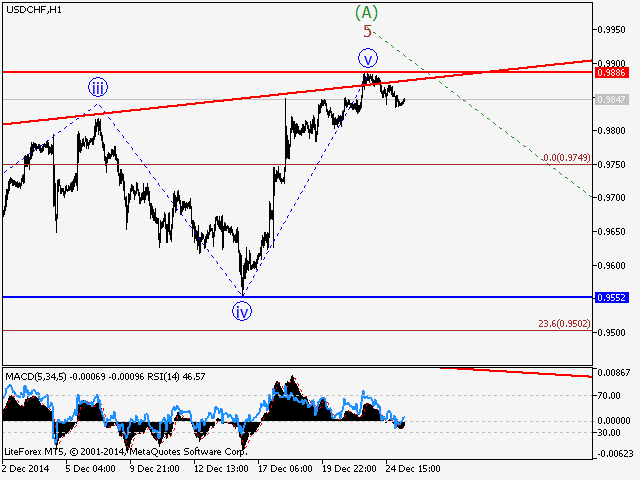 Alternative scenario: Above 0.8155 look for further upside with 0.8185 & 0.8215 as targets. Comment: The break below the support at 0.8155 triggered a downward acceleration to 0.8085. In addition, the RSI is capped by a declining trend line. Most Likely Scenario: Short positions below 1200 with targets @ 1178 & 1170 in extension. Alternative scenario: Above 1200 look for further upside with 1210 & 1223 as targets. Comment: A break below 1178 would trigger a drop towards 1170. Crude Oil (NYMEX) (G5) Intraday: further advance. Most Likely Scenario: Long positions above 53.35 with targets @ 55.6 & 56.6 in extension. Alternative scenario: Below 53.35 look for further downside with 52.45 & 52 as targets. Most Likely Scenario: Short positions below 1.2035 with targets @ 1.19 & 1.187 in extension. Alternative scenario: Above 1.2035 look for further upside with 1.209 & 1.212 as targets. Comment: The pair has broken below its support and remains under pressure as the RSI is capped by a declining trend line. Most Likely Scenario: Short positions below 1.54 with targets @ 1.52 & 1.515 in extension. Alternative scenario: Above 1.54 look for further upside with 1.5445 & 1.55 as targets. Most Likely Scenario: Long positions above 119.95 with targets @ 120.75 & 121 in extension. Comment: The pair has rebounded above its support. Most Likely Scenario: Short positions below 0.8105 with targets @ 0.802 & 0.8 in extension. 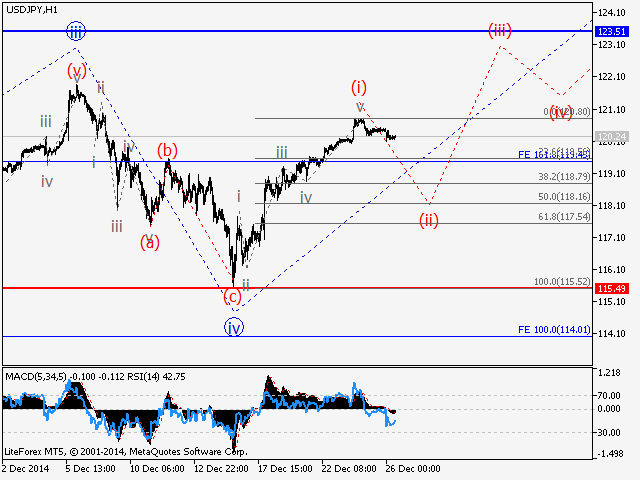 Alternative scenario: Above 0.8105 look for further upside with 0.8145 & 0.8185 as targets. Comment: The RSI is capped by a bearish trend line. Gold spot Intraday: further upside. Most Likely Scenario: Long positions above 1177 with targets @ 1210 & 1223 in extension. Alternative scenario: Below 1177 look for further downside with 1167 & 1160 as targets. Crude Oil (NYMEX) (G5) Intraday: the downside prevails. Most Likely Scenario: Short positions below 52.85 with targets @ 50.9 & 50 in extension. Alternative scenario: Above 52.85 look for further upside with 54 & 55.1 as targets. EUR/USD Intraday: key resistance at 1.1975. Most Likely Scenario: Short positions below 1.1975 with targets @ 1.191 & 1.187 in extension. Alternative scenario: Above 1.1975 look for further upside with 1.2035 & 1.209 as targets. Most Likely Scenario: Short positions below 1.5325 with targets @ 1.52 & 1.515 in extension. Alternative scenario: Above 1.5325 look for further upside with 1.54 & 1.5445 as targets. Most Likely Scenario: Short positions below 119.95 with targets @ 118.8 & 118.35 in extension. Alternative scenario: Above 119.95 look for further upside with 120.25 & 120.75 as targets. AUD/USD Intraday: continuation of the rebound. Most Likely Scenario: Long positions above 0.8105 with targets @ 0.8185 & 0.8215 in extension. Alternative scenario: Below 0.8105 look for further downside with 0.8075 & 0.803 as targets. Comment: The RSI is bullish and calls for further upside. The pair has broken above a declining trend line. Most Likely Scenario: Long positions above 1186 with targets @ 1210 & 1223 in extension. Alternative scenario: Below 1186 look for further downside with 1177 & 1167 as targets. Most Likely Scenario: Short positions below 52 with targets @ 48.8 & 47 in extension. Alternative scenario: Above 52 look for further upside with 54 & 55.1 as targets. Most Likely Scenario: Short positions below 1.1935 with targets @ 1.1835 & 1.179 in extension. Alternative scenario: Above 1.1935 look for further upside with 1.1975 & 1.2035 as targets. Comment: The pair has broken below its previous low and remains on the downside. Most Likely Scenario: Short positions below 1.521 with targets @ 1.509 & 1.5035 in extension. Alternative scenario: Above 1.521 look for further upside with 1.528 & 1.5325 as targets. USD/JPY Intraday: key resistance at 119.5. Most Likely Scenario: Short positions below 119.5 with targets @ 118.6 & 118.35 in extension. Alternative scenario: Above 119.5 look for further upside with 119.95 & 120.25 as targets. Comment: Even though a continuation of the technical rebound cannot be ruled out, its extent should be limited. Most Likely Scenario: Short positions below 0.8105 with targets @ 0.803 & 0.8 in extension. Alternative scenario: Above 0.8105 look for further upside with 0.816 & 0.8185 as targets. Comment: The break below 0.8105 is a negative signal that has opened a path to 0.803. Gold spot Intraday: bullish bias above 1205. Most Likely Scenario: Long positions above 1205 with targets @ 1223 & 1232 in extension. Alternative scenario: Below 1205 look for further downside with 1197 & 1186 as targets. Most Likely Scenario: Short positions below 49.5 with targets @ 46.35 & 45 in extension. Alternative scenario: Above 49.5 look for further upside with 51.25 & 52.85 as targets. Comment: The RSI is bearish and calls for further decline. The prices remain in a bearish channel. Most Likely Scenario: Short positions below 1.186 with targets @ 1.179 & 1.175 in extension. Alternative scenario: Above 1.186 look for further upside with 1.19 & 1.1975 as targets. GBP/USD Intraday: key resistance at 1.5155. Most Likely Scenario: Short positions below 1.5155 with targets @ 1.5045 & 1.5 in extension. Alternative scenario: Above 1.5155 look for further upside with 1.52 & 1.528 as targets. Most Likely Scenario: Long positions above 119.2 with targets @ 119.95 & 120.25 in extension. Alternative scenario: Below 119.2 look for further downside with 118.6 & 118.35 as targets. AUD/USD Intraday: key resistance at 0.812. Most Likely Scenario: Short positions below 0.812 with targets @ 0.8055 & 0.803 in extension. Alternative scenario: Above 0.812 look for further upside with 0.816 & 0.8185 as targets. Comment: A support base at 1205 has formed and has allowed for a temporary stabilisation. Crude Oil (NYMEX) (G5) Intraday: rebound. Most Likely Scenario: Long positions above 46.8 with targets @ 50.35 & 52.2 in extension. Alternative scenario: Below 46.8 look for further downside with 46 & 45 as targets. Comment: The RSI is mixed with a bullish bias. Most Likely Scenario: Short positions below 1.185 with targets @ 1.175 & 1.17 in extension. Alternative scenario: Above 1.185 look for further upside with 1.19 & 1.1975 as targets. GBP/USD Intraday: key resistance at 1.513. Most Likely Scenario: Short positions below 1.513 with targets @ 1.503 & 1.5 in extension. Alternative scenario: Above 1.513 look for further upside with 1.52 & 1.528 as targets. Most Likely Scenario: Long positions above 0.808 with targets @ 0.816 & 0.8185 in extension. Alternative scenario: Below 0.808 look for further downside with 0.8055 & 0.803 as targets. Crude Oil (NYMEX) (G5) Intraday: continuation of the rebound. Most Likely Scenario: Long positions above 1.182 with targets @ 1.19 & 1.1935 in extension. Alternative scenario: Below 1.182 look for further downside with 1.178 & 1.175 as targets. Most Likely Scenario: Long positions above 1.5115 with targets @ 1.52 & 1.525 in extension. Alternative scenario: Below 1.5115 look for further downside with 1.507 & 1.503 as targets. Most Likely Scenario: Short positions below 119.1 with targets @ 118.05 & 117.3 in extension. Alternative scenario: Above 119.1 look for further upside with 119.65 & 119.95 as targets. Comment: The pair remains under pressure and is challenging its support. Most Likely Scenario: Long positions above 0.817 with targets @ 0.8265 & 0.83 in extension. Alternative scenario: Below 0.817 look for further downside with 0.8125 & 0.808 as targets. Most Likely Scenario: Long positions above 1216 with targets @ 1240 & 1250 in extension. Alternative scenario: Below 1216 look for further downside with 1205 & 1197 as targets. Crude Oil (NYMEX) (G5) Intraday: key resistance at 49.65. Most Likely Scenario: Short positions below 49.65 with targets @ 46.8 & 46 in extension. Alternative scenario: Above 49.65 look for further upside with 50.35 & 51.15 as targets. Comment: As long as the resistance at 49.65 is not surpassed, the risk of the break below 46.8 remains high. Most Likely Scenario: Long positions above 1.1805 with targets @ 1.187 & 1.19 in extension. Alternative scenario: Below 1.1805 look for further downside with 1.178 & 1.175 as targets. Most Likely Scenario: Long positions above 1.5135 with targets @ 1.52 & 1.5215 in extension. Alternative scenario: Below 1.5135 look for further downside with 1.5095 & 1.507 as targets. Most Likely Scenario: Long positions above 118.05 with targets @ 118.95 & 119.3 in extension. Alternative scenario: Below 118.05 look for further downside with 117.7 & 117.3 as targets. Comment: The pair is rebounding and is breaking above its resistance. Most Likely Scenario: Short positions below 0.821 with targets @ 0.8125 & 0.808 in extension. 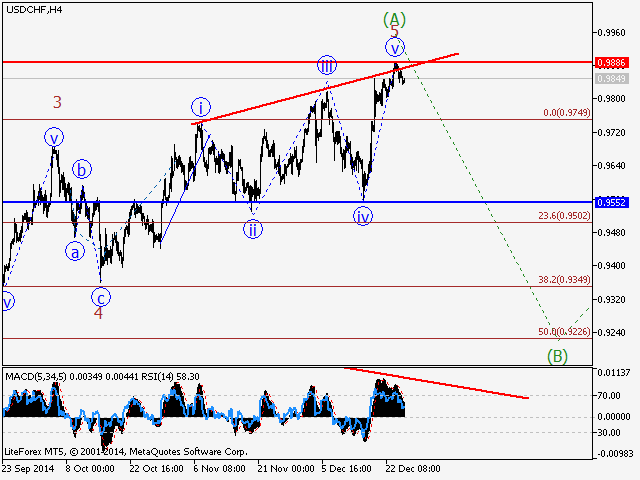 Alternative scenario: Above 0.821 look for further upside with 0.8255 & 0.83 as targets. Crude Oil (NYMEX) (G5) Intraday: under pressure. Most Likely Scenario: Short positions below 47.8 with targets @ 44.5 & 43 in extension. Alternative scenario: Above 47.8 look for further upside with 48.8 & 49.65 as targets. Most Likely Scenario: Short positions below 1.182 with targets @ 1.175 & 1.1725 in extension. Alternative scenario: Above 1.182 look for further upside with 1.186 & 1.19 as targets. Most Likely Scenario: Long positions above 1.5115 with targets @ 1.519 & 1.5215 in extension. Most Likely Scenario: Short positions below 117.95 with targets @ 116.8 & 116.4 in extension. Alternative scenario: Above 117.95 look for further upside with 118.75 & 119.3 as targets. Most Likely Scenario: Short positions below 0.814 with targets @ 0.805 & 0.803 in extension. Alternative scenario: Above 0.814 look for further upside with 0.816 & 0.82 as targets. Most Likely Scenario: Long positions above 1225 with targets @ 1244.3 & 1250 in extension. Alternative scenario: Below 1225 look for further downside with 1216 & 1205 as targets. Comment: Intraday technical indicators are mixed and call for caution. Crude Oil (NYMEX) (G5) Intraday: bullish bias above 44.2. Most Likely Scenario: Long positions above 44.2 with targets @ 46.8 & 47.75 in extension. Alternative scenario: Below 44.2 look for further downside with 43 & 41.3 as targets. Comment: A support base at 44.2 has formed and has allowed for a temporary stabilisation. EUR/USD Intraday: bullish bias above 1.1725. Most Likely Scenario: Long positions above 1.1725 with targets @ 1.1815 & 1.186 in extension. Alternative scenario: Below 1.1725 look for further downside with 1.1695 & 1.164 as targets. Most Likely Scenario: Long positions above 1.519 with targets @ 1.528 & 1.532 in extension. Alternative scenario: Below 1.519 look for further downside with 1.514 & 1.5115 as targets. Most Likely Scenario: Short positions below 117.95 with targets @ 117.1 & 116.5 in extension. Comment: The upward potential is likely to be limited by the resistance at 117.95. Most Likely Scenario: Long positions above 0.813 with targets @ 0.8255 & 0.8285 in extension. Alternative scenario: Below 0.813 look for further downside with 0.8065 & 0.803 as targets. Comment: The pair remains on the upside and is approaching its previous top. Gold spot Intraday: bullish bias above 1225. Comment: A support base at 1225 has formed and has allowed for a temporary stabilisation. Most Likely Scenario: Long positions above 45.8 with targets @ 49.6 & 51.4 in extension. Alternative scenario: Below 45.8 look for further downside with 44.2 & 43 as targets. Most Likely Scenario: Short positions below 1.167 with targets @ 1.1575 & 1.153 in extension. Alternative scenario: Above 1.167 look for further upside with 1.1755 & 1.1815 as targets. Comment: The pair stands below its resistance and remains on the downside. Most Likely Scenario: Short positions below 1.52 with targets @ 1.514 & 1.5115 in extension. Alternative scenario: Above 1.52 look for further upside with 1.524 & 1.527 as targets. Comment: The pair stands below its new resistance and remains under pressure. Most Likely Scenario: Short positions below 117.2 with targets @ 115.5 & 115 in extension. Alternative scenario: Above 117.2 look for further upside with 117.95 & 118.75 as targets. Comment: The pair has broken below its previous low and is posting a pull back. Most Likely Scenario: Long positions above 0.8175 with targets @ 0.8255 & 0.83 in extension. Alternative scenario: Below 0.8175 look for further downside with 0.813 & 0.8105 as targets. Comment: The pair is facing a slight pull back but remains on the upside. Gold spot Intraday: bullish bias above 1245. Most Likely Scenario: Long positions above 1245 with targets @ 1267 & 1277 in extension. Alternative scenario: Below 1245 look for further downside with 1235 & 1225 as targets. Most Likely Scenario: Short positions below 48.4 with targets @ 45.05 & 44.2 in extension. Alternative scenario: Above 48.4 look for further upside with 49.65 & 51.4 as targets. Comment: As long as 48.4 is resistance, likely decline to 45.05. Most Likely Scenario: Short positions below 1.1605 with targets @ 1.1515 & 1.1455 in extension. Alternative scenario: Above 1.1605 look for further upside with 1.165 & 1.172 as targets. Most Likely Scenario: Short positions below 1.5195 with targets @ 1.5115 & 1.5075 in extension. Alternative scenario: Above 1.5195 look for further upside with 1.524 & 1.527 as targets. Most Likely Scenario: Long positions above 116.8 with targets @ 117.95 & 118.75 in extension. Alternative scenario: Below 116.8 look for further downside with 116.3 & 115.85 as targets. Comment: The pair is pulling back and is challenging its support. Most Likely Scenario: Short positions below 0.8255 with targets @ 0.817 & 0.813 in extension. 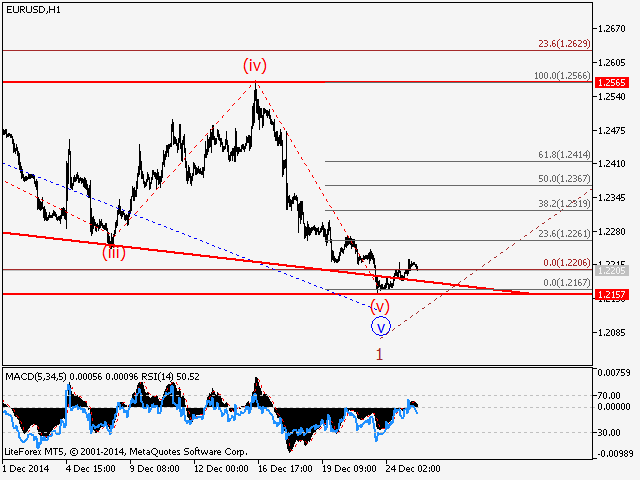 Alternative scenario: Above 0.8255 look for further upside with 0.83 & 0.833 as targets. Most Likely Scenario: Long positions above 1256 with targets @ 1286 & 1292 in extension. Alternative scenario: Below 1256 look for further downside with 1245 & 1235 as targets. Crude Oil (NYMEX) (G5) Intraday: caution. Most Likely Scenario: Short positions below 48.9 with targets @ 45.95 & 45.05 in extension. Alternative scenario: Above 48.9 look for further upside with 49.65 & 51.4 as targets. Most Likely Scenario: Short positions below 1.1615 with targets @ 1.1515 & 1.1455 in extension. Alternative scenario: Above 1.1615 look for further upside with 1.165 & 1.172 as targets. Most Likely Scenario: Long positions above 1.5105 with targets @ 1.52 & 1.524 in extension. Alternative scenario: Below 1.5105 look for further downside with 1.5075 & 1.505 as targets. Comment: The pair is on the upside. Most Likely Scenario: Short positions below 118.85 with targets @ 117.35 & 116.8 in extension. Alternative scenario: Above 118.85 look for further upside with 119.3 & 119.95 as targets. AUD/USD Intraday: key resistance at 0.822. Most Likely Scenario: Short positions below 0.822 with targets @ 0.8155 & 0.813 in extension. Alternative scenario: Above 0.822 look for further upside with 0.8255 & 0.83 as targets. Most Likely Scenario: Long positions above 1284 with targets @ 1310 & 1317 in extension. Alternative scenario: Below 1284 look for further downside with 1271.8 & 1264 as targets. Crude Oil (NYMEX) (H5) Intraday: under pressure. Most Likely Scenario: Short positions below 47.7 with targets @ 45.6 & 44.75 in extension. Alternative scenario: Above 47.7 look for further upside with 48.25 & 49.2 as targets. Comment: As long as 47.7 is resistance, likely decline to 45.6. Most Likely Scenario: Short positions below 1.168 with targets @ 1.154 & 1.1515 in extension. Alternative scenario: Above 1.168 look for further upside with 1.172 & 1.1755 as targets. Comment: As long as the resistance at 1.168 is not surpassed, the risk of the break below 1.154 remains high. GBP/USD Intraday: key resistance at 1.5165. Most Likely Scenario: Short positions below 1.5165 with targets @ 1.5075 & 1.5055 in extension. Alternative scenario: Above 1.5165 look for further upside with 1.52 & 1.524 as targets. Comment: The upward potential is likely to be limited by the resistance at 1.5165. Most Likely Scenario: Long positions above 117.15 with targets @ 118.4 & 118.85 in extension. Alternative scenario: Below 117.15 look for further downside with 116.8 & 116.3 as targets. Most Likely Scenario: Short positions below 0.815 with targets @ 0.803 & 0.8 in extension. Alternative scenario: Above 0.815 look for further upside with 0.819 & 0.8235 as targets. Gold spot Intraday: bullish bias above 1284. Comment: A support base at 1284 has formed and has allowed for a temporary stabilisation. Crude Oil (NYMEX) (H5) Intraday: bullish bias above 46.35. Most Likely Scenario: Long positions above 46.35 with targets @ 48.25 & 49.2 in extension. Alternative scenario: Below 46.35 look for further downside with 45.6 & 44.75 as targets. Most Likely Scenario: Short positions below 1.146 with targets @ 1.127 & 1.115 in extension. Alternative scenario: Above 1.146 look for further upside with 1.153 & 1.1575 as targets. Comment: The pair has broken below its support and remains on the downside. Most Likely Scenario: Short positions below 1.5075 with targets @ 1.495 & 1.49 in extension. 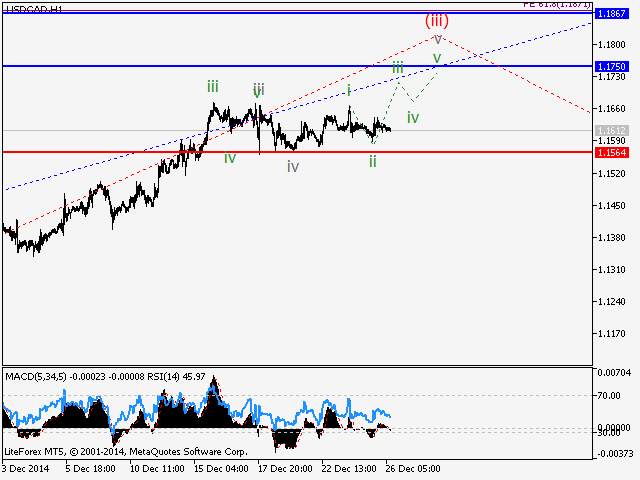 Alternative scenario: Above 1.5075 look for further upside with 1.5115 & 1.521 as targets. Most Likely Scenario: Long positions above 117.8 with targets @ 118.85 & 119.35 in extension. Alternative scenario: Below 117.8 look for further downside with 117.2 & 116.8 as targets. Comment: The pair remains on the upside and is challenging its previous top. Most Likely Scenario: Short positions below 0.807 with targets @ 0.795 & 0.79 in extension. 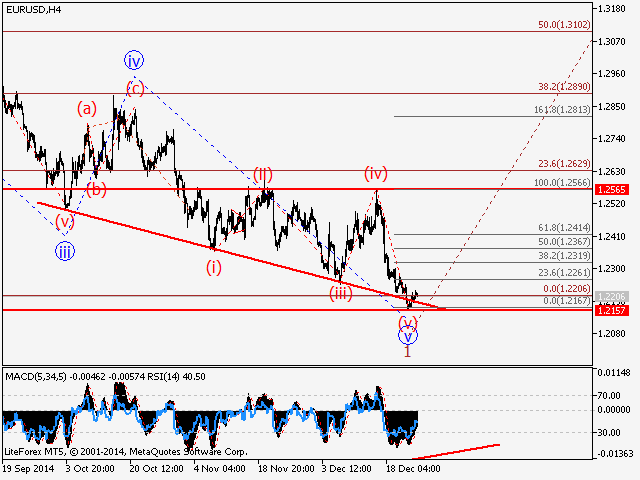 Alternative scenario: Above 0.807 look for further upside with 0.815 & 0.819 as targets. Comment: The pair has broken below its previous low and remains under pressure. Gold spot Intraday: bullish bias above 1279. Most Likely Scenario: Long positions above 1279 with targets @ 1317 & 1325 in extension. Alternative scenario: Below 1279 look for further downside with 1271.8 & 1264 as targets. Comment: A support base at 1279 has formed and has allowed for a temporary stabilisation. Crude Oil (NYMEX) (H5) Intraday: key resistance at 49.1. Most Likely Scenario: Short positions below 49.1 with targets @ 45.6 & 44.75 in extension. Alternative scenario: Above 49.1 look for further upside with 50.8 & 51.3 as targets. Comment: As long as 49.1 is resistance, likely decline to 45.6. Most Likely Scenario: Short positions below 1.1315 with targets @ 1.11 & 1.099 in extension. Alternative scenario: Above 1.1315 look for further upside with 1.1395 & 1.146 as targets. GBP/USD Intraday: key resistance at 1.5055. Most Likely Scenario: Short positions below 1.5055 with targets @ 1.495 & 1.49 in extension. Alternative scenario: Above 1.5055 look for further upside with 1.5115 & 1.521 as targets. Most Likely Scenario: Short positions below 118.3 with targets @ 117.2 & 116.8 in extension. Alternative scenario: Above 118.3 look for further upside with 118.85 & 119.35 as targets. Comment: The pair remains on the downside and is challenging its support. Most Likely Scenario: Short positions below 0.797 with targets @ 0.782 & 0.778 in extension. Alternative scenario: Above 0.797 look for further upside with 0.805 & 0.811 as targets. Most Likely Scenario: Long positions above 1279 with targets @ 1308 & 1317 in extension. Most Likely Scenario: Short positions below 46.7 with targets @ 43.7 & 42.6 in extension. Alternative scenario: Above 46.7 look for further upside with 47.8 & 49.1 as targets. Comment: As long as 46.7 is resistance, likely decline to 43.7. Most Likely Scenario: Short positions below 1.1315 with targets @ 1.119 & 1.11 in extension. Most Likely Scenario: Long positions above 1.5035 with targets @ 1.5115 & 1.521 in extension. Alternative scenario: Below 1.5035 look for further downside with 1.5 & 1.495 as targets. Most Likely Scenario: Long positions above 117.5 with targets @ 118.85 & 119.35 in extension. Alternative scenario: Below 117.5 look for further downside with 117.2 & 116.8 as targets. Most Likely Scenario: Short positions below 0.797 with targets @ 0.7865 & 0.782 in extension. Most Likely Scenario: Short positions below 1290 with targets @ 1264 & 1254 in extension. Alternative scenario: Above 1290 look for further upside with 1300 & 1308 as targets. Comment: As long as 1290 is resistance, likely decline to 1264. EUR/USD Intraday: bullish bias above 1.1295. Most Likely Scenario: Long positions above 1.1295 with targets @ 1.146 & 1.1535 in extension. Alternative scenario: Below 1.1295 look for further downside with 1.122 & 1.115 as targets. GBP/USD Intraday: bullish bias above 1.5115. Most Likely Scenario: Long positions above 1.5115 with targets @ 1.5235 & 1.5265 in extension. Alternative scenario: Below 1.5115 look for further downside with 1.507 & 1.5035 as targets. Most Likely Scenario: Long positions above 117.55 with targets @ 118.3 & 118.65 in extension. Alternative scenario: Below 117.55 look for further downside with 117.2 & 116.8 as targets. Most Likely Scenario: Long positions above 0.79 with targets @ 0.805 & 0.811 in extension. Alternative scenario: Below 0.79 look for further downside with 0.7865 & 0.782 as targets. Comment: The pair surged above a key resistance and remains on the upside. Gold spot Intraday: turning up. Most Likely Scenario: Long positions above 1271.8 with targets @ 1300 & 1308 in extension. Alternative scenario: Below 1271.8 look for further downside with 1264 & 1255 as targets. Most Likely Scenario: Short positions below 46.7 with targets @ 44.35 & 43.7 in extension. Comment: As long as 46.7 is resistance, likely decline to 44.35. Most Likely Scenario: Short positions below 1.1325 with targets @ 1.122 & 1.115 in extension. Alternative scenario: Above 1.1325 look for further upside with 1.1395 & 1.146 as targets. Comment: The pair remains under pressure as the RSI is capped by a declining trend line. Most Likely Scenario: Short positions below 1.5185 with targets @ 1.5115 & 1.5065 in extension. Alternative scenario: Above 1.5185 look for further upside with 1.522 & 1.5265 as targets. USD/JPY Intraday: key resistance at 118.3. Alternative scenario: Above 118.3 look for further upside with 118.65 & 118.85 as targets. Most Likely Scenario: Short positions below 0.794 with targets @ 0.7845 & 0.779 in extension. 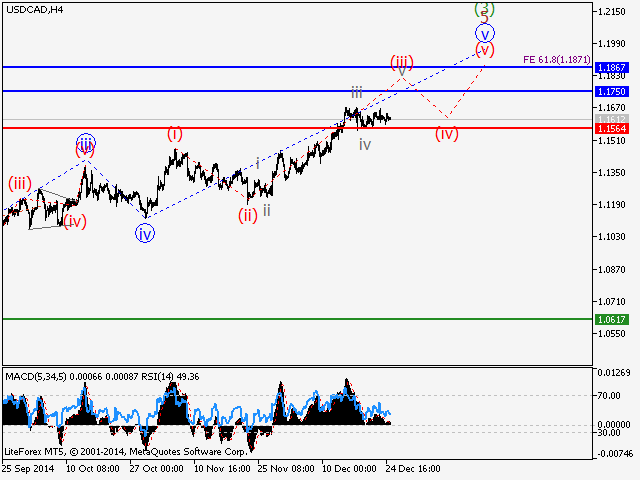 Alternative scenario: Above 0.794 look for further upside with 0.801 & 0.805 as targets. Comment: The pair remains under pressure and is challenging its previous low. Gold spot Intraday: bullish bias above 1271.8. Comment: A support base at 1271.8 has formed and has allowed for a temporary stabilisation. Crude Oil (NYMEX) (H5) Intraday: capped by a negative trend line. Most Likely Scenario: Short positions below 45.7 with targets @ 43.7 & 42.6 in extension. Alternative scenario: Above 45.7 look for further upside with 46.6 & 47.8 as targets. Comment: As long as 45.7 is resistance, likely decline to 43.7. Most Likely Scenario: Long positions above 1.126 with targets @ 1.1395 & 1.146 in extension. Alternative scenario: Below 1.126 look for further downside with 1.122 & 1.115 as targets. Most Likely Scenario: Short positions below 1.5115 with targets @ 1.503 & 1.498 in extension. Alternative scenario: Above 1.5115 look for further upside with 1.515 & 1.522 as targets. Most Likely Scenario: Short positions below 118.2 with targets @ 117.55 & 117.2 in extension. Alternative scenario: Above 118.2 look for further upside with 118.45 & 118.65 as targets. Most Likely Scenario: Short positions below 0.788 with targets @ 0.7715 & 0.763 in extension. Alternative scenario: Above 0.788 look for further upside with 0.794 & 0.801 as targets. Most Likely Scenario: Short positions below 1275 with targets @ 1248 & 1234 in extension. Alternative scenario: Above 1275 look for further upside with 1285 & 1293 as targets. Comment: As long as 1275 is resistance, likely decline to 1248. Crude Oil (NYMEX) (H5) Intraday: key resistance at 45. Most Likely Scenario: Short positions below 45 with targets @ 43.56 & 42.6 in extension. Alternative scenario: Above 45 look for further upside with 45.7 & 46.6 as targets. Comment: As long as 45 is resistance, likely decline to 43.56. Most Likely Scenario: Short positions below 1.1365 with targets @ 1.126 & 1.122 in extension. Alternative scenario: Above 1.1365 look for further upside with 1.142 & 1.146 as targets. Comment: As long as the resistance at 1.1365 is not surpassed, the risk of the break below 1.126 remains high. GBP/USD Intraday: key resistance at 1.5115. Most Likely Scenario: Short positions below 1.5115 with targets @ 1.4985 & 1.495 in extension. Alternative scenario: Above 1.5115 look for further upside with 1.5165 & 1.522 as targets. Comment: The RSI lacks upward momentum. The pair stands below its resistance and remains under pressure. USD/JPY Intraday: rebound in sight. Most Likely Scenario: Long positions above 117.25 with targets @ 118.2 & 118.4 in extension. Alternative scenario: Below 117.25 look for further downside with 117 & 116.8 as targets. Comment: The RSI calls for a rebound. AUD/USD Intraday: key resistance at 0.78. Most Likely Scenario: Short positions below 0.78 with targets @ 0.7715 & 0.763 in extension. Alternative scenario: Above 0.78 look for further upside with 0.788 & 0.794 as targets. Comment: As long as 0.78 is resistance, look for choppy price action with a bearish bias. The pair stands below its resistance and remains under pressure. Most Likely Scenario: Long positions above 1265 with targets @ 1285 & 1293 in extension. Alternative scenario: Below 1265 look for further downside with 1258 & 1250 as targets. Crude Oil (NYMEX) (H5) Intraday: further advance. Most Likely Scenario: Long positions above 45.6 with targets @ 48.4 & 49.3 in extension. Alternative scenario: Below 45.6 look for further downside with 43.5 & 42.6 as targets. Comment: As long as 1.1365 is resistance, look for choppy price action with a bearish bias. The pair remains capped by a declining trend line. GBP/USD Intraday: consolidation in place. Most Likely Scenario: Short positions below 1.509 with targets @ 1.495 & 1.491 in extension. Alternative scenario: Above 1.509 look for further upside with 1.5165 & 1.522 as targets. Most Likely Scenario: Short positions below 117.5 with targets @ 116.8 & 116.3 in extension. Alternative scenario: Above 117.5 look for further upside with 117.85 & 118.2 as targets. Most Likely Scenario: Short positions below 0.776 with targets @ 0.7595 & 0.7525 in extension. Alternative scenario: Above 0.776 look for further upside with 0.779 & 0.7835 as targets. Comment: Even though a continuation of the technical rebound cannot be ruled out, its extent should be limited. The pair validated a Pennant: a bearish pattern calling for a decline towards 0.7525. Most Likely Scenario: Long @ 1282.83 with targets @ 1293 & 1300 in extension. Alternative scenario: Below 1272 look for further downside with 1266 & 1258 as targets. Most Likely Scenario: Long positions above 47.9 with targets @ 51.7 & 53 in extension. Alternative scenario: Below 47.9 look for further downside with 46.6 & 45.6 as targets. Most Likely Scenario: Short positions below 1.14 with targets @ 1.1305 & 1.126 in extension. Alternative scenario: Above 1.14 look for further upside with 1.1435 & 1.149 as targets. Most Likely Scenario: Long positions above 1.5135 with targets @ 1.527 & 1.532 in extension. Alternative scenario: Below 1.5135 look for further downside with 1.509 & 1.505 as targets. Most Likely Scenario: Short positions below 117.65 with targets @ 116.85 & 116.55 in extension. Alternative scenario: Above 117.65 look for further upside with 117.95 & 118.2 as targets. Comment: The RSI is badly directed. Most Likely Scenario: Short positions below 0.785 with targets @ 0.771 & 0.7625 in extension. Alternative scenario: Above 0.785 look for further upside with 0.791 & 0.8 as targets. Most Likely Scenario: Short positions below 1285 with targets @ 1252 & 1234 in extension. Alternative scenario: Above 1285 look for further upside with 1293 & 1300 as targets. Comment: As long as 1285 is resistance, likely decline to 1252. Most Likely Scenario: Long positions above 1.1395 with targets @ 1.15 & 1.1535 in extension. Alternative scenario: Below 1.1395 look for further downside with 1.136 & 1.1305 as targets. Most Likely Scenario: Long positions above 1.5255 with targets @ 1.5355 & 1.5375 in extension. Alternative scenario: Below 1.5255 look for further downside with 1.5185 & 1.5135 as targets. Comment: The pair has broken above its previous top and remains on the upside. USD/JPY Intraday: key resistance at 117.65. Most Likely Scenario: Short positions below 0.785 with targets @ 0.7775 & 0.771 in extension. Most Likely Scenario: Short positions below 1274 with targets @ 1256 & 1252 in extension. Alternative scenario: Above 1274 look for further upside with 1285 & 1293 as targets. Comment: As long as 1274 is resistance, likely decline to 1256. Crude Oil (NYMEX) (H5) Intraday: rebound. Most Likely Scenario: Long positions above 49 with targets @ 52.6 & 54.3 in extension. Alternative scenario: Below 49 look for further downside with 47.4 & 46.6 as targets. Most Likely Scenario: Short positions below 1.1415 with targets @ 1.1305 & 1.127 in extension. Alternative scenario: Above 1.1415 look for further upside with 1.1465 & 1.15 as targets. Most Likely Scenario: Short positions below 1.53 with targets @ 1.5185 & 1.5135 in extension. Alternative scenario: Above 1.53 look for further upside with 1.535 & 1.545 as targets. Most Likely Scenario: Long positions above 118 with targets @ 119.25 & 119.75 in extension. Alternative scenario: Below 118 look for further downside with 117.65 & 117.15 as targets. Most Likely Scenario: Short positions below 0.7825 with targets @ 0.771 & 0.7625 in extension. Alternative scenario: Above 0.7825 look for further upside with 0.7875 & 0.791 as targets. Most Likely Scenario: Short positions below 1247 with targets @ 1224 & 1217.4 in extension. Alternative scenario: Above 1247 look for further upside with 1256 & 1267 as targets. Comment: As long as 1247 is resistance, likely decline to 1224. Crude Oil (NYMEX) (H5) Intraday: further upside. Most Likely Scenario: Long positions above 50.2 with targets @ 54.3 & 56 in extension. Alternative scenario: Below 50.2 look for further downside with 49 & 47.4 as targets. Most Likely Scenario: Short positions below 1.138 with targets @ 1.127 & 1.122 in extension. Alternative scenario: Above 1.138 look for further upside with 1.1415 & 1.1465 as targets. Comment: As long as the resistance at 1.53 is not surpassed, the risk of the break below 1.5185 remains high. Most Likely Scenario: Short positions below 119 with targets @ 118 & 117.65 in extension. Alternative scenario: Above 119 look for further upside with 119.3 & 119.75 as targets. Comment: The pair is trading within a bearish channel. Most Likely Scenario: Long positions above 0.7785 with targets @ 0.7875 & 0.791 in extension. Alternative scenario: Below 0.7785 look for further downside with 0.7745 & 0.771 as targets. Comment: The pair has rebounded above its support and remains on the upside. Most Likely Scenario: Short positions below 1247 with targets @ 1227.5 & 1217.4 in extension. Crude Oil (NYMEX) (H5) Intraday: bullish bias above 50.2. Comment: A support base at 50.2 has formed and has allowed for a temporary stabilisation. EUR/USD Intraday: key resistance at 1.136. Most Likely Scenario: Short positions below 1.136 with targets @ 1.127 & 1.122 in extension. Alternative scenario: Above 1.136 look for further upside with 1.1415 & 1.1465 as targets. Comment: The pair below its resistance and remains under pressure. Most Likely Scenario: Long positions above 1.5185 with targets @ 1.53 & 1.535 in extension. Alternative scenario: Below 1.5185 look for further downside with 1.5135 & 1.5095 as targets. Most Likely Scenario: Long positions above 119 with targets @ 119.75 & 120.2 in extension. Alternative scenario: Below 119 look for further downside with 118.65 & 118.3 as targets. Most Likely Scenario: Short positions below 0.781 with targets @ 0.7745 & 0.771 in extension. Alternative scenario: Above 0.781 look for further upside with 0.784 & 0.7875 as targets. Gold spot Intraday: key resistance at 1247. Comment: As long as 1247 is resistance, likely decline to 1227.5. Most Likely Scenario: Short positions below 51.2 with targets @ 49.8 & 49 in extension. Alternative scenario: Above 51.2 look for further upside with 52.55 & 54 as targets.